There were a LOT of eating places of all types. Fancy ones, run down ones, food court, fast food type … they are everywhere. I am not kidding … seeing that makes me want to cry! So much food and so little tummy space. 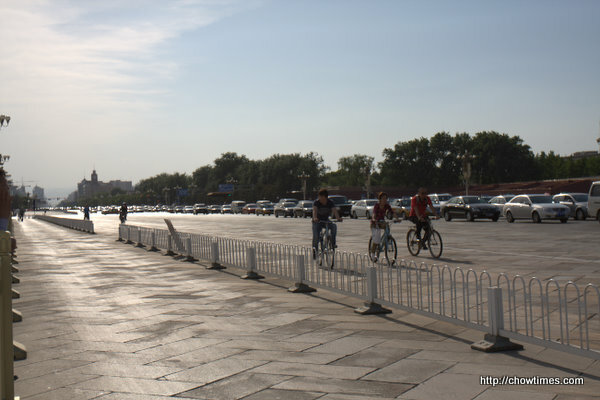 I am talking about just a small block and already there were a number of places I wanted to go to already … and I know for true Beijingers they will laugh at me for chosing some of them. Hey, I don’t see those type of varieties in Vancouver. I was very hesitant going into a restaurant. So I chose a friendly looking one. One that has English words on the signboard. This is a random choice really. Hey, it was not that bad. The waitress did not even bat an eyelid. Yeah, I fit right in. LOL! They kept telling me one thing after another and I don’t know what they were saying half the time. This place looks like it is part of a chain of restaurants from the way all the pictures are taken and all. The table mat has snack items. Interesting stuff but am focused only on their #1 item. It is this one above. This one looks like their money dish. It’s the first item on the menu and there was even posters of this in the entrance. So, I got this. 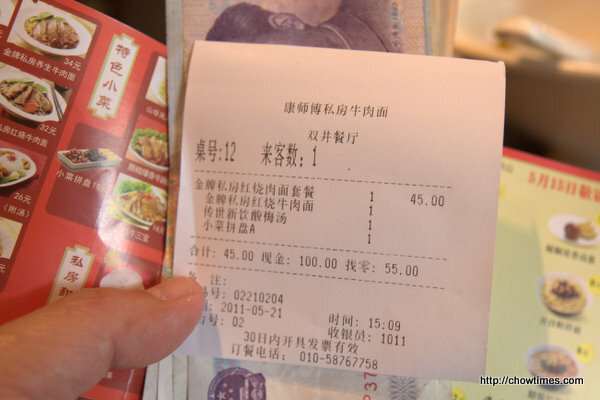 It is a drink and a bowl of noodles for 45 RMB … which makes it less than $7.00 only. Hey nice thing is that there is no taxes and no tips. What you see on the menu is what you pay for. How nice it would be if we have the same thing too in Canada — no tax, no tips. And they yell at you as you leave the place (hehehe … saying thank you). It looks so beautiful and I was thinking how it looked exactly like it is on the menu. 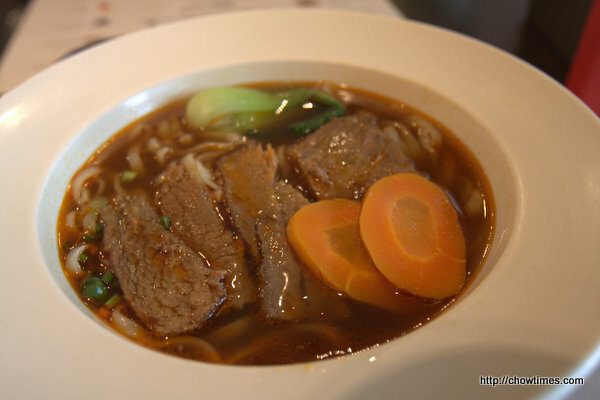 The serving is as large as you see in Vancouver’s beef noodle soup. It sure smell real good. The soup is light and spicy. I did not get the MSG after effect and so I think they did not (or did not put much). We talked about the clear soup and the busy soup type … remember? Well, they served a side dish of the sour mustard thingy on the side to make it the busy type — it’s your choice. I added that in and it changes the taste. I swear even the noodles by itself is tasty. Gosh, they do make great noodles. I am not imagining this. I thought I can even eat this without anything else. Well, just with a little jhup. The beef is something to marvel. There are big slabs of it like the ones above. Tender and soft to the chew. Too bad this one does not have tendons which I like very much. Their menu said that they uses only the choicest of beef cut for this dish. The side dishes above came with the combo. The middle black one is awesome. It is like a wood ear but it is not too. 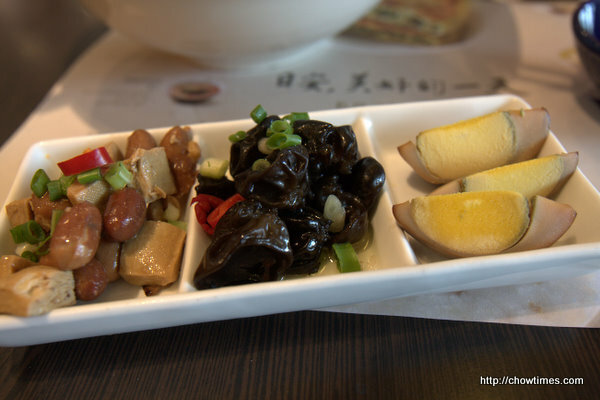 I went to another restaurant today and saw the same thing and the menu said it is baby black fungus. I like this … crunchy like wood ear but have more substance. 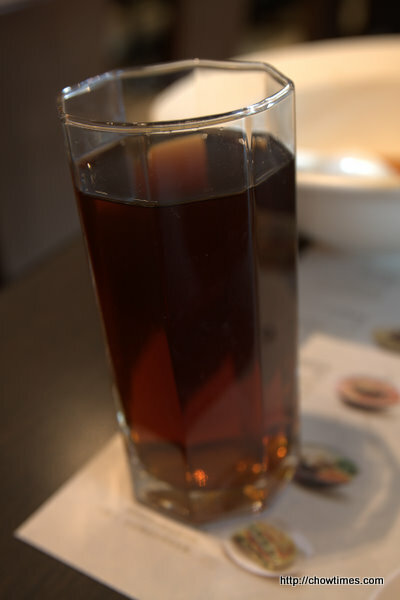 The plum drink is a refreshing accompaniment to the noodles. I like these sort of non-sweet drinks. I was happy with this meal. Very happy as a matter of fact. I know there are thousands of better places within Beijing and if this is just an indication of what is to come, I am truly excited. I wish you are here! 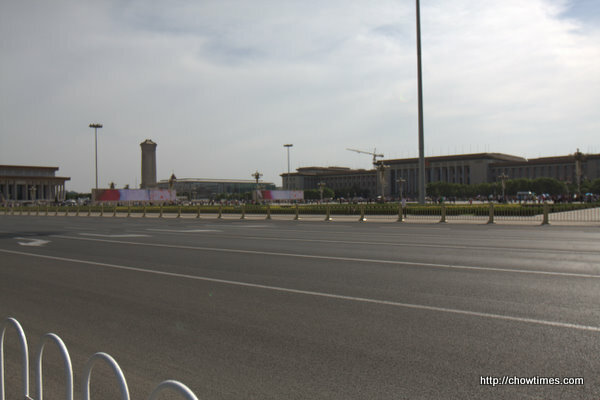 I took the train to Tianamen Square. Most of the area is closed already since it is already past 4:00 PM. But there a LOT of people … and a LOT of cars. It was a strange feeling seeing this place with my very own eyes. Besides the Great Wall, this is the enduring symbol of China. Surprisingly, the people who are here are overwhelmingly locals. I thought that there would be a lot more foreign tourists. 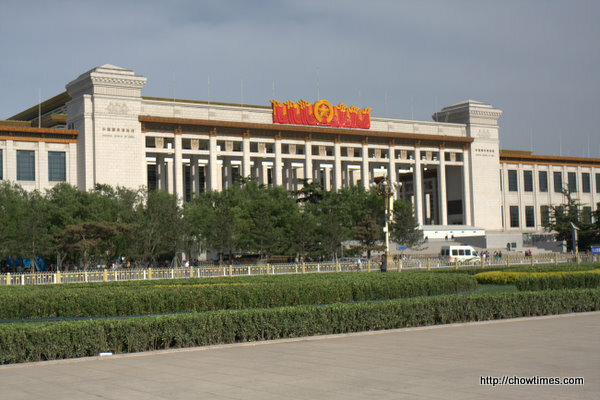 Next to Tianamen Square is the National Museum of China. You know I like museums and this is definitely a place I wanted to visit. As a matter of fact, I went there on the second day! I’ll tell you more later about this place. You know, I expected to see hazy skies in Beijing but the air was much more cleaner than what I read on the papers. The weather is actually great here at this time of the year. The air is very dry and so it’s not uncomfortable walking around a lot. 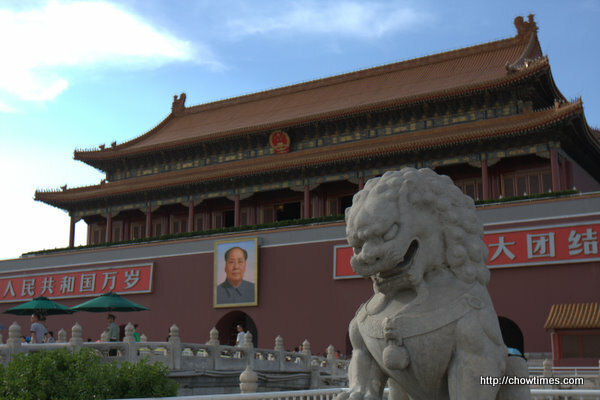 The above is not Forbidden City. 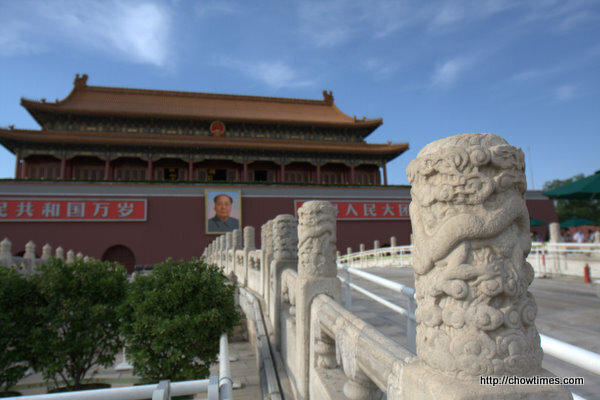 The Forbidden City is technically behind these gates. They call it the Gate of Heavenly Peace. People were milling outside of the place and no one was allowed in anymore. I will definitely check this place out more closely and will spend a full day there on my off days. The jet lag was beginning to catch up with me and I decided to head back to the hotel. I’ll tell you more tomorrow! Hi Ben: Happy to hear you went to China! Sorry I didn’t know until I saw your comment on my blog, I’ve been so busy since Spring of last year with my new job. It’s interesting to read your posts however, from the point of view of a foodie with all those food places you went to. We didn’t get a chance to choose our food very much in China, time was limited with places to go, things to do and see. Glad to see Suanne went there too, you guys went to lots of places we didn’t go to, China is after all a big country with lots to see, even in Beijing there are lots of attractions. Thank you for finding my China posts useful, thanks for all your visits, looking forward to share our new destination! Hi Ben! It took me so long to look up and follow your blog especiallyyour adventure in Beijing. But it’s never too late, ya! Well written, with added colourful pictures. You made Beijing a place I must go! What an adventure you had! Nonetheless, home is still the best place to be! The Beijing subway or metro is very crowded but it does not go to the Airport. There is new train goes to the airport from the NE subway station, and it cost 18 Yuan if remember correctly and it is not often full of passenger. I always enjoyed travel in China even in very remote region. The people there was so friendly they treated me as one of them. I had been invited and stayed at their home several times, yet I meet them only in the Bus. 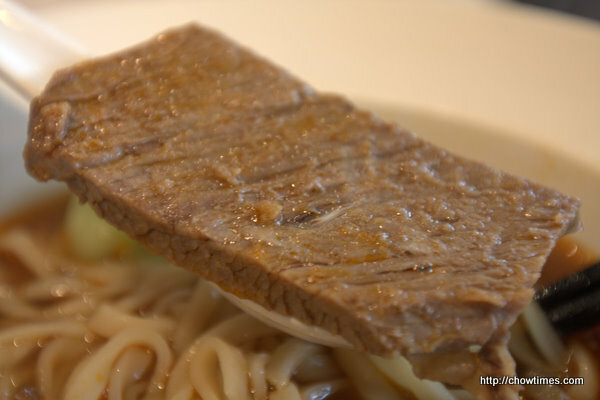 Just be careful eating fake beef. See how they use chemicals to turn pork into beef. So Ben, you are indeed in Beijing. I tried Jakarta, but failed…haha….Anyways, good to know I won’t have to do much research on where to eat after reading all the blogposts when I head out there in the near future! 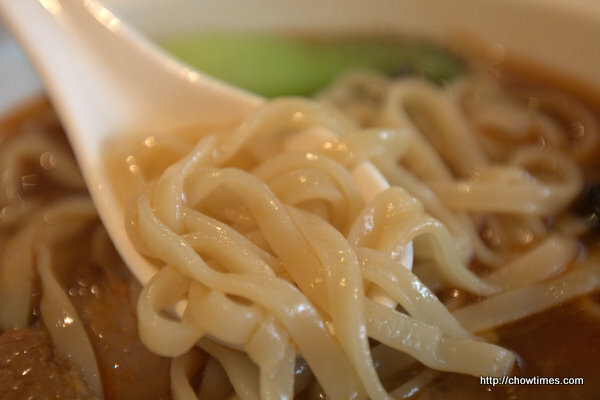 Have a great food adventure in Beijing! If you check the Vanchow forum, there is post on Beijing. One of the members asked advice for his upcoming trip to Beijing and quite a few poeple responded with recommendations. Enjoy all the delicious eating!! Anyway, if you need help, just let me know. You can email me, and I can introduce you to your fellow Canadians at our school. Heheh..
*”the foods on the streets” — I meant the street food…. 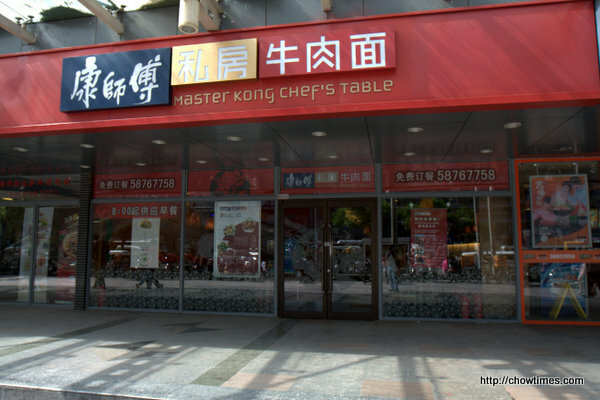 Have you spotted Kungfu Restaurant? It’s a chain restaurant. You should try it too. 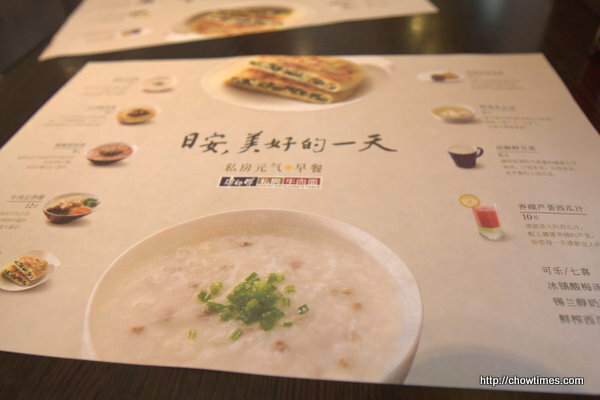 Yes, Kungfu restaurant is a great fast food restaurant! 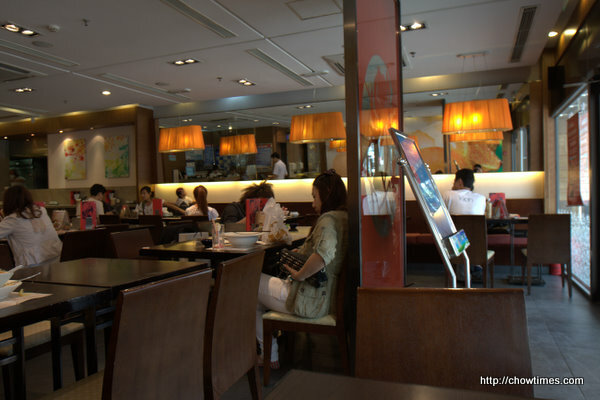 It’s amazing how they can serve individually steamed rice, Chinese soup, and a good entree in under one minute. Kungfu restaurant … OK I’ll look out for it. I have not seen any so far. Finally! To be honest, I’d been wondering when you’re going to visit China because you write so much about Chinese restaurants! You should try the foods on the streets. 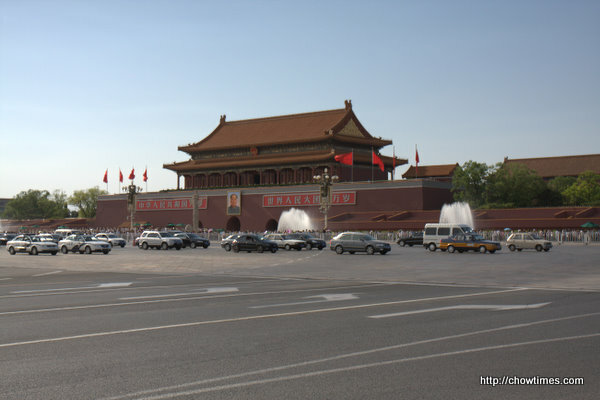 Oh try to visit Qidan while you visit Tiananmen. It’s 2-3 blocks away from there. Don’t take taxi, buses, the road traffic is often heavy – 1-2 hours could be wasted. Better take the subway. 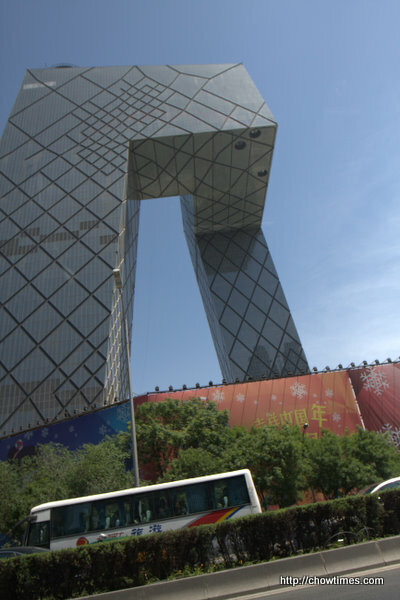 Wow, that’s pretty magnificent weather in Beijing! Ben, do visit Shin Kong Palace (a high end shopping mall) while you are there, it’s in the Chaoyang district and has a great food court downstairs. If I remember correctly it’s very close to where you ate lunch at. Also visit WangFuJing when you have time, it’s right next to the Grand Hyatt. Lots of great food and culture there! Oops it’s Shin Kong Place. Haven’t been to Viva before! However lots of the shopping malls in Beijing have great food from food court to full service restaurants. A friend of mine from Malaysia is in BJ right now as well. He visited the Great Wall and said of all places, he met a lot of Malays from Kelantan there, LOL. Try the street food, Ben. Oh Ben, you MUST try the street food!!! Well Wangfujing do have street snacks but it’s a little more tourist-y in my opinion, but it’s still definitely worth going once. 东华门夜市 Dong Hua Men Ye Shi (Nightmarket) is also a pretty famous place for street snacks. I don’t know too much about Beijing cuz my relatives usually bring me around so you might have to ask your co-workers or even the hotel employees? 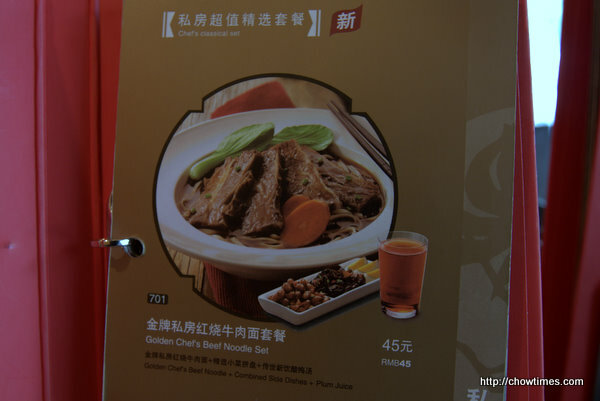 I don’t know the weather in Beijing now but do try the lamb hotpot (涮羊肉)!!! Beijing specialty!!! I’ve only been to China once many years ago but I loved it. Didn’t it sort of feel like going home – a sense of completeness? I thought of all my ancestors who came from and toiled on this land and I cried when I arrived at the airport. Looking forward to read about your adventures. In addition to forbidden city, you should also check out Summer Palace where the monarch vacationed in the summer. 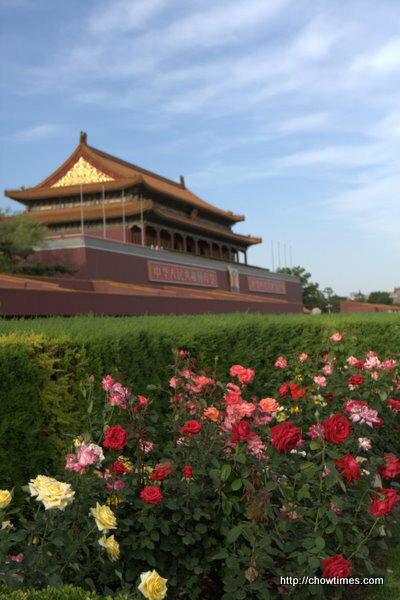 Beijing is steeped with history and you will not be disappointed. Lots to eat, shop, play. There are these fancy euro bars everywhere which is popular. I think my Hubby told you about his trip to BJ where he and his coworker hired a driver for the day to take them around. They also climbed The Great Wall! Have fun! Your food pics makes me want to go visit China! So many good things to eat! Just be careful. Some of those places aren’t really sanitary. I hope oyu have your twinrex shots! i totally envy your trip; wish I was going to visit China! Great to hear about your trip to Beijing. This is much more interesting than reading about Vacouver. Lol..! .